Software Updater in Avast Antivirus helps keep commonly used third party software up to date to eliminate potential security risks. Malicious threats or attackers often use leaks in outdated software to access your PC. This feature displays the most popular programs installed on your PC and allows you to easily update them. Software Updater in Avast Premier allows you to configure automatic updates for your applications. Open the Avast user interface and select Performance ▸ Software Updater. From the outdated software list, tick the box next to one or more applications to select it, and click the Update selected button above the list. 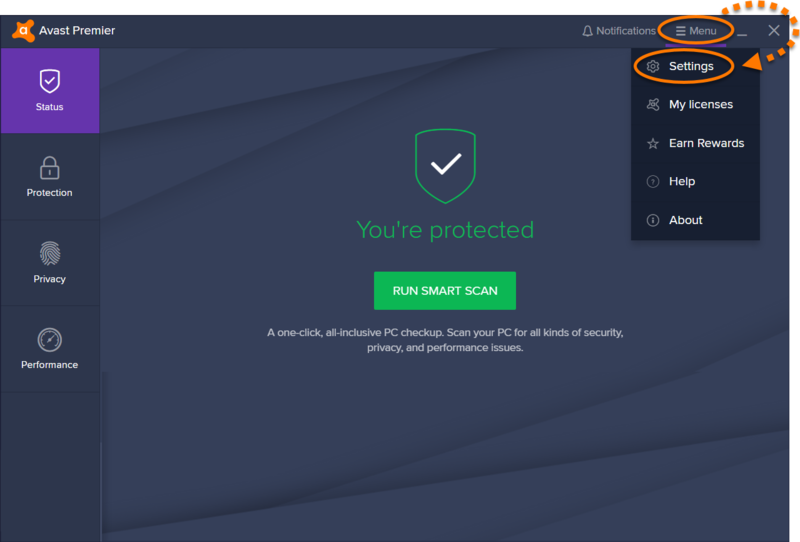 if Avast is unable to directly download and install an update, you are redirected to the vendor's website or another appropriate site to download the update. Next to Automatic updates, click the OFF slider so that it changes to ON. 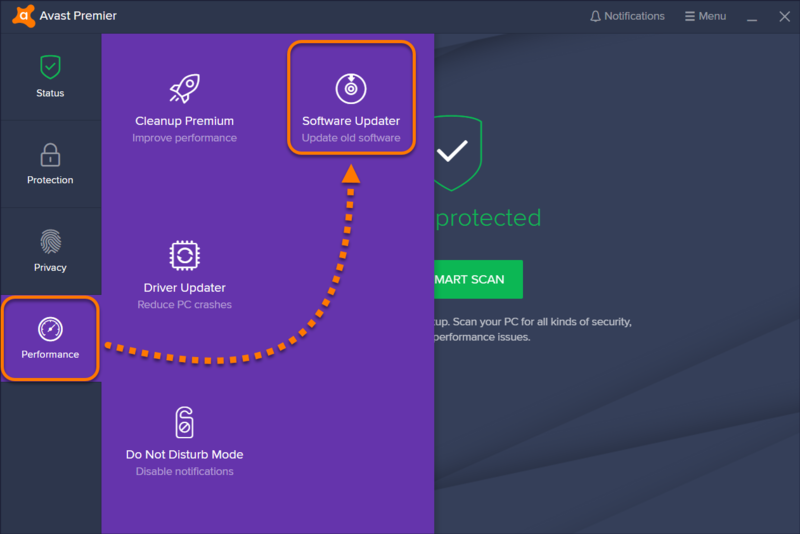 This action enables Avast to automatically download and install updates. this feature is only available in Avast Premier. For all other versions, you will be asked to upgrade to Avast Premier first. Verify the vendor details, current version, and the new version of the application, if available. Click Update to update the application. Click Ignore updates to exclude the application from updates. We strongly recommend you do not enable the Ignore updates setting, as outdated software is highly vulnerable to hacker attacks. 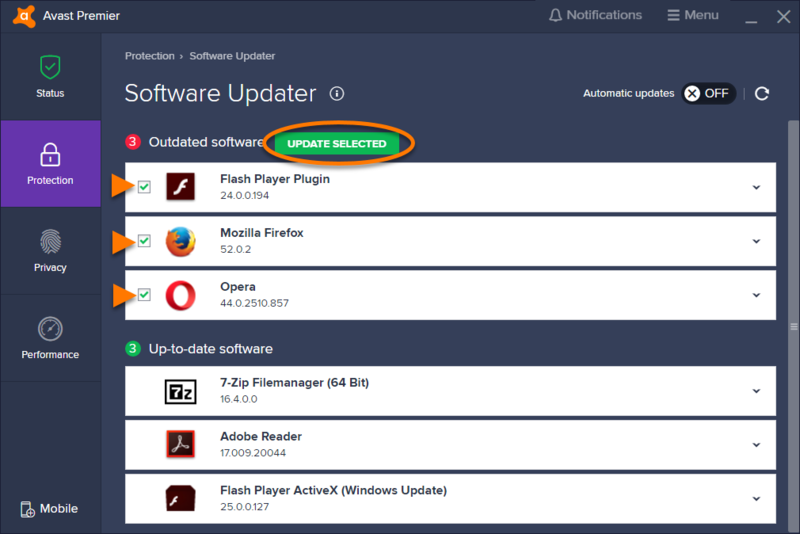 The Software Updater settings screen allows you to manage notifications from Software Updater and enable automatic updates. Select Performance ▸ Software Updater. Notifications about new updates: tick if you want to be notified when a software update is available. This option is enabled by default. 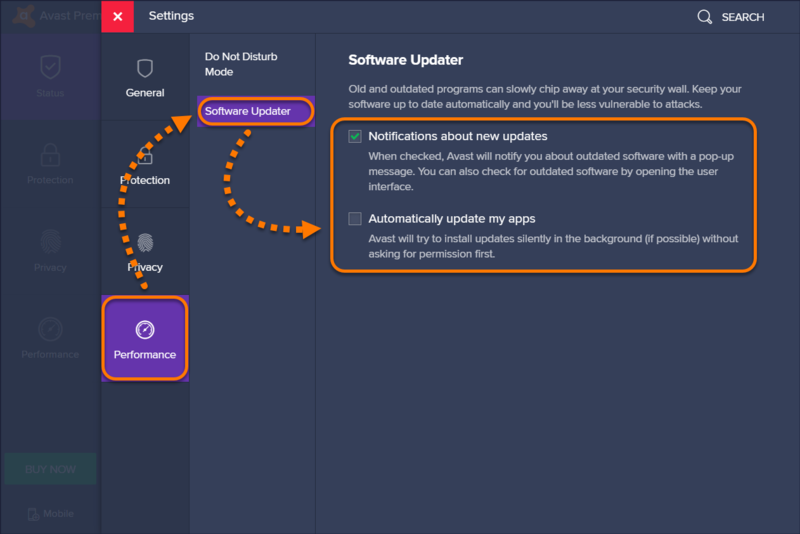 Automatically update my apps (Avast Premier only): tick to allow Software Updater to automatically install downloaded updates for your third party software when possible. Automatic installations happen in the background and no action is required from you.